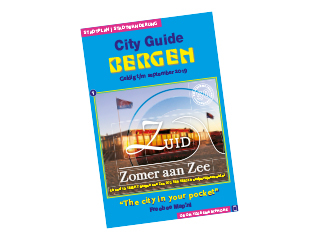 This walk gives you a nice tour in the salty air of Bergen aan Zee. You can start at any point. The route to the beach, combines sea and dunes. You will also see beautiful houses from the road. Modern and ancient building. You come across the boulevard. Follow the red line that takes you to the beach. You walk through the park Parnassus. You go through the roundabout on the Seaway. And further in the dune peace church from 1918, intended as a place for all. There you can also bump into Scottish Highlanders. Along the Elzenlaan you see on the high dune tower Huize Glory from 1916. You will also pass the Zeehuis from 1908, founded the orphanage for children from amsterdam. If you continue your journey, you come back to the boulevard. We hope you had a nice walk and a beautiful view of this seaside village.